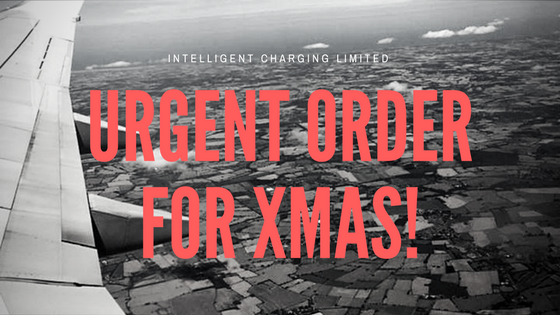 It was a few days before Christmas and Intelligent Charging Limited came to the rescue when Air-Tec Aviation Maintenance, based at the Bethlehem Airfield in South Africa, came to us when they urgently required our help. Our products were urgently required. Intelligent Charging received a phone call from Air-Tec Aviation Maintenance stating that they required two of our products to be shipped to Costa Rica immediately. Fortunately, Intelligent Charging hold their standard battery Charger Analyser range in stock. But with it being a few days before the Christmas period, Intelligent Charging still needed to perform a standard calibration procedure and then complete all correct documentation to make sure our goods were to the correct standard. And then pack and ship them to Costa Rica in time. Air-Tec Aviation Maintenance are an Authorized Service Centre for the LET (Aircraft Industries a.a.) factory. They accommodate any maintenance services from the refurbishment of the interior to the painting of the exterior and all avionic upgrades covering complete maintenance of the aircraft. You can find out more about the company and the maintenance department here. If you have any questions or would like to know more about our battery maintenance and testing products, feel free to contact us and we will be happy to help you!